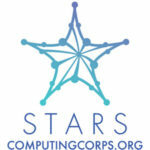 The STARS Computing Corps IGNITE program provides a low barrier to entry for faculty at academic institutions to engage in meaningful efforts to broaden participation in computing and PIs new to BPC. STARS IGNITE guides a faculty member through the development of a plan to lead a cohort of students from their home institution to attend a diversity-oriented conference, and includes pre-conference cohort development activities that build community, identity, and sense of belonging. Cohorts are provided with travel scholarships to attend a diversity-focused conference (e.g., Tapia Celebration of Diversity in Computing, Grace Hopper Celebration of Women in Computing) and commit to identifying opportunities to ignite BPC efforts within their own computing departments. With just-enough & just-in-time training to support post-conference BPC activities at participants’ home institutions, this program provides resources & a foundation for future efforts. A PI can include in their CISE proposal that they will join the STARS IGNITE program, with a commitment to form the BPC cohort, attend STARS IGNITE training on BPC, take the cohort to the BPC conference, and host a BPC activity in their department. PIs should include funds in their BPC Plan budget for participation in STARS IGNITE.